I've never much liked mayonnaise-based potato salads because they're far too messy for me. Tangy vinaigrette-based versions, on the other hand, are another story. 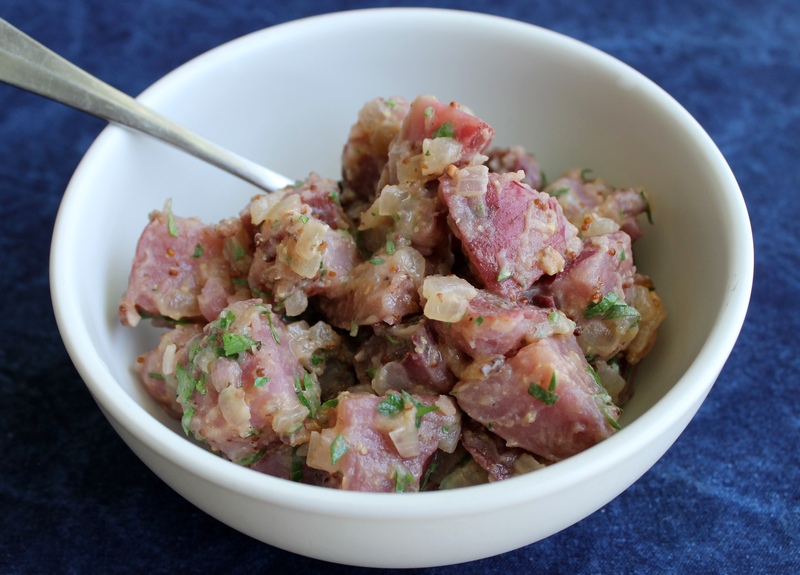 I love having a recipe for German potato salad in my back pocket for warm-weather entertaining and picnics. Cooking the potatoes in the Anova Precision Cooker keeps their shape and flavor intact. 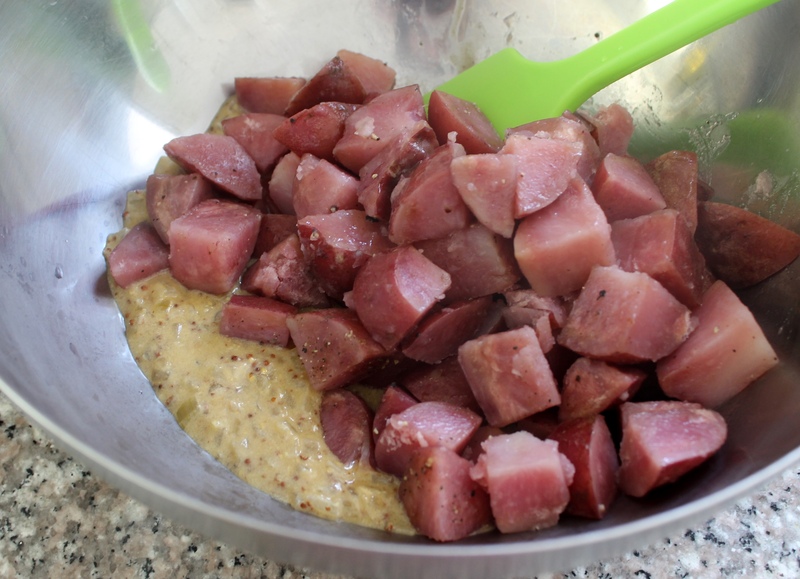 Toss them in the bacon and mustard vinaigrette while they're still hot for the best results. I used purple potatoes from my CSA, but any small waxy potato, such as Yukon Gold or Red Bliss, will work well. 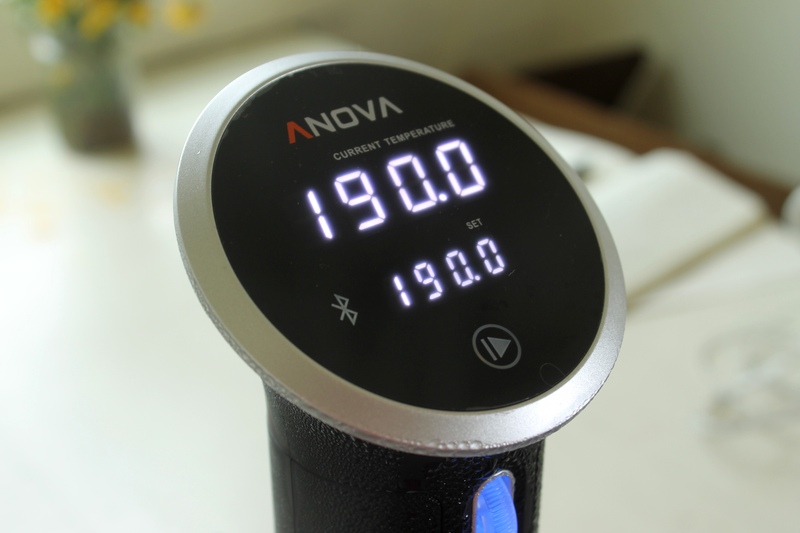 Set the Anova Sous Vide Precision Cooker to 190ºF (87.8ºC). 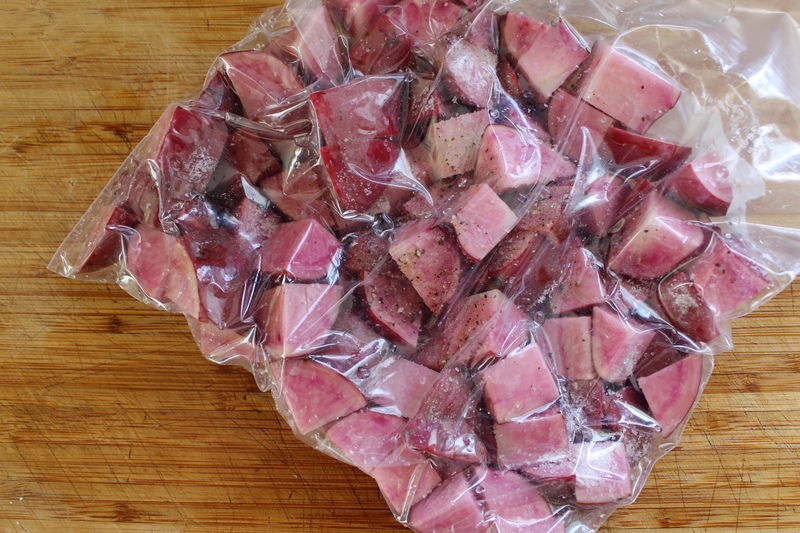 Place the potatoes in a single layer in a large zipper lock or vacuum seal bag. Generously season with salt and pepper. Seal the bag using the water immersion technique or a vacuum sealer on the dry setting. Place in the water bath and set the timer for 1 hour. While the potatoes are cooking, prepare the vinaigrette: Heat the bacon in a medium skillet over medium heat. Cook, stirring occasionally, until the bacon has rendered its fat and turned brown and crisp, 5 to 7 minutes. 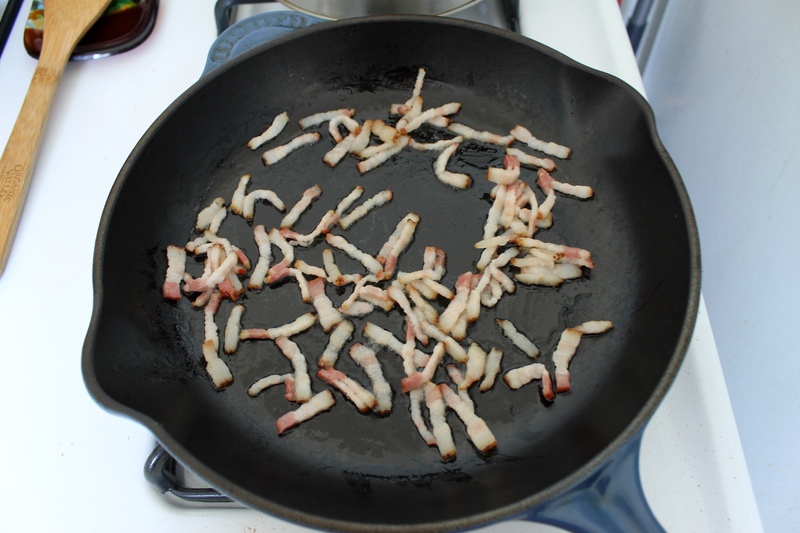 Using a slotted spoon, transfer the bacon to a paper towel-lined plate. Pour off all but 1 tablespoon bacon fat from the skillet. Add olive oil and return to medium heat. When the oil is shimmering, add the onion. Season with salt and cook, stirring occasionally until softened, 5 to 7 minutes. 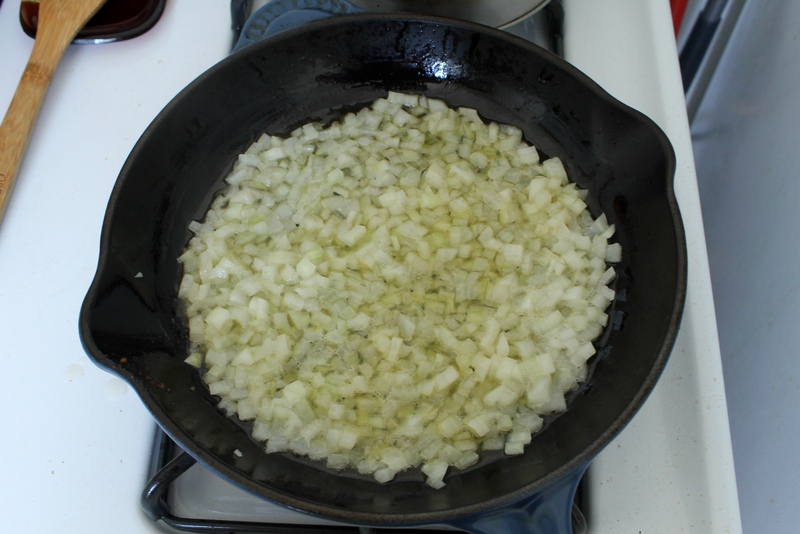 Transfer onion and all the oil in the skillet to a large bowl. 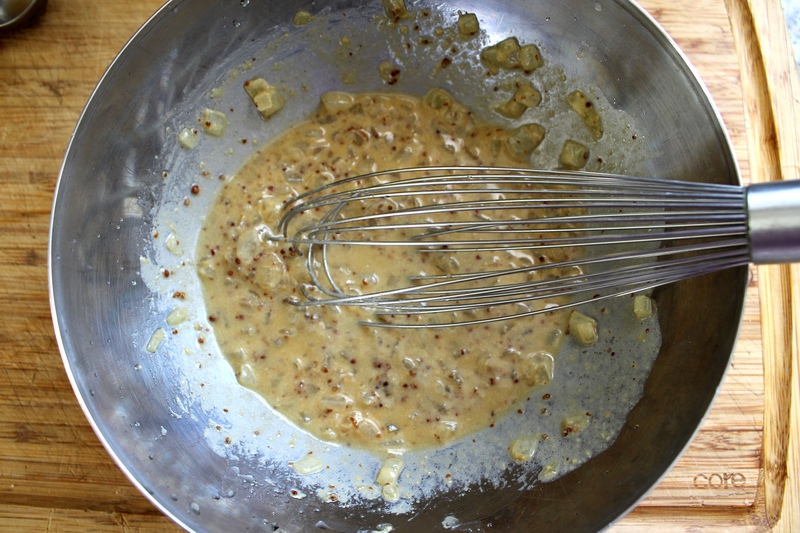 Whisk vinegar, Dijon, and coarse mustard into the onion mixture. Season to taste with salt and pepper. Set aside. When the timer goes off, remove the bag from the water bath. Remove the potatoes from the bag and transfer to the bowl with the vinaigrette and toss to coat. Let potatoes cool to room temperature. Stir in parsley and cooked bacon. Season to taste with salt and pepper. Serve.